A Temecula, CA divorce lawyer at Family Law Matters can assist you in your divorce or child custody dispute. 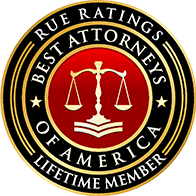 We take on cases even the most difficult cases that another divorce lawyer may reject. You have been betrayed-the person you married is not who you thought he or she was. Sadly, you didn’t figure it out until after the wedding. The cost of hiring an attorney is very expensive. Will the other side have to help you with your fees? Will you get stuck having to pay the other side’s fees? It depends. You have been devoted to your children since the moment they were born. You’ve been there for every important milestone in their lives: their first birthday, their first lost tooth, their first day of school. You have children and you both work, but you barely earn enough to make ends meet. You know finances will be even more difficult after the split. The marriage has ended and you feel defeated; like a failure. To add insult to injury, you have to divide your house and belongings. Who gets what? The things that you value the most are now on the line including your children, your home, your money–and your future. Many misconceive domestic violence as physical violence but it’s actually any kind of force or fear to control another person. A guardianship is an action filed in probate court that gives an adult control of a child under the age of eighteen years old. There are two types of guardianships: over the person and over the estate. You know you cannot live together any more. You and your spouse cannot even be in the same room, but you are not ready to give up just yet. Maybe a trial separation is the answer. You have already been to court. You have a judgment, but the orders are not working. Whenever you need to go back to court to change an order, it is called a modification. You never got married, but you had a baby. That child is the most important thing to you. All of the sudden, you can no longer visit with your own child! How can you keep your children out of the middle? You’ve supported your spouse throughout your marriage and now you face the possibility that your financial future will be ruined. Spousal support depends on many different factors. You have a precious child from another relationship. Mom or Dad has been out of your child’s life for years and your spouse loves your child as if they were his or her own. How do you make it official? An uncontested divorce is when the parties agree to the terms of the judgment before the paperwork is filed. The advantage is that the parties can avoid litigation; which costs substantially less. Copyright© 2017 by Family Law Matters. All rights reserved.